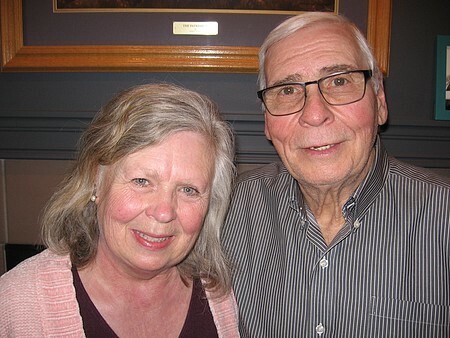 November-April$100-$125 discount mult. nights/ May to Mid June, October $135-$165/ Summer Splendour mid June-Oct.$195 per night, only bookings for 4 nights or more in summer. NO TAX or fees added to rates. Christmas $175/. CASUAL, COMFORTABLE, CONVENIENT, COZY, QUIET accommodation. 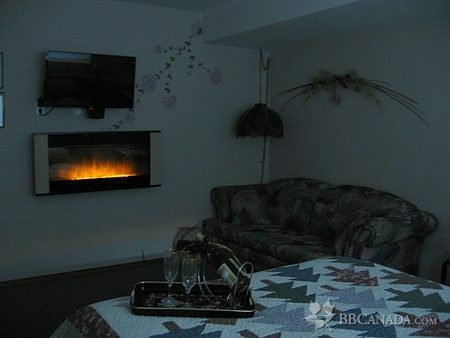 WARM cozy in winter with INROOM DIMPLEX FIREPLACE, ambiance & heat without smoke and ash of wood or overheating of gas. COOL in summer. BRIGHT,SPACIOUS suite with PRIVATE entrance, 2TVs with free movie channels and VOD. 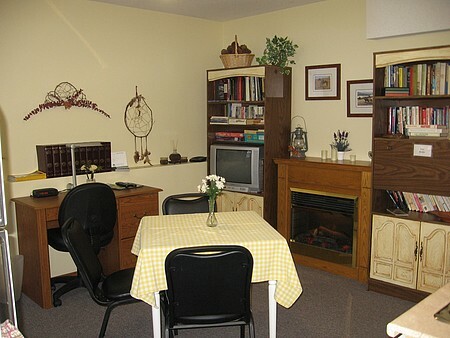 KITCHENETTE with coffee and tea,refrigerator, microwave, toaster oven, dishes, cutlery,utensils for simple meal preparation.. Free offstreet parking & Wireless internet. SELF SERVE breakfast with no set time Please see breakfast menu for choices. Breakfast is set up in the kitchenette to eat in or in summer take to your patio enjoying the park & mountains. Spectacular Mountain Views! 20 years hosting the world! 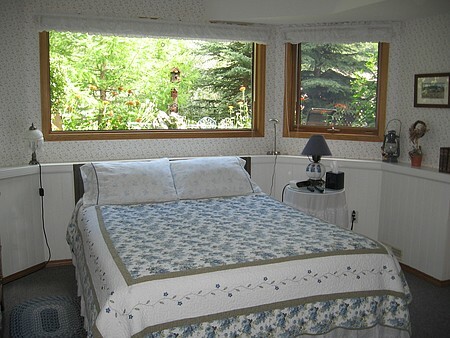 Homestead B&B was built with SEPARATE B&B AREA for privacy and comfort with separate B&B furnace and sound proofing. 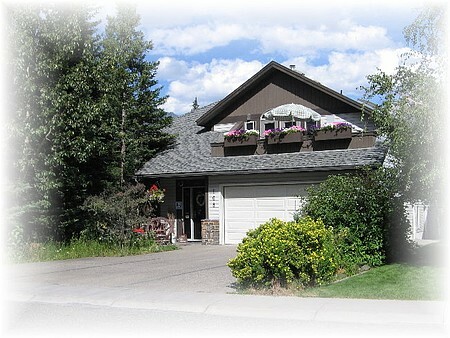 LICENSED & INSPECTED by Health Department, Town of Canmore, Alberta B&B Association.